TARRYTOWN—As part of its mission to spur improvements to the building and construction industry sectors, the Westchester County-based Construction Advancement Institute (CAI) recently awarded $45,000 in grants to undergraduate students enrolled to study engineering, architecture, construction technology, construction management or related subjects this fall. 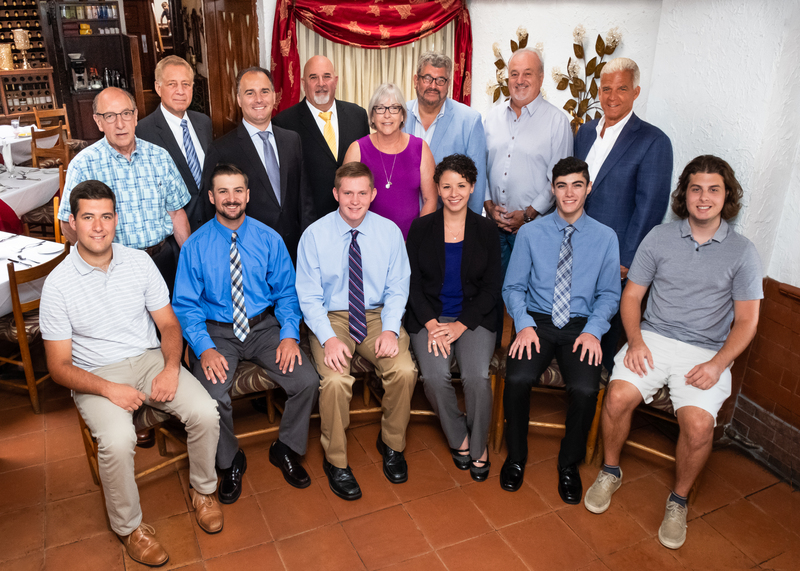 On July 10, the CAI Scholarship Committee presented six students $5,000 grants toward the 2018-19 academic year at an awards luncheon held near its headquarters in Tarrytown, NY. The scholarship awards from CAI, which is the educational and advocacy component organization aligned with the Building Contractors Association (BCA), was announced by CAI Chairman Mark Fante of Darante Construction, Ltd., of Elmsford, NY. Nicola Altomare of Yonkers, NY will be attending Rensselaer Polytechnic Institute in Troy, NY to pursue his degree in Electrical Engineering. He is the grandson of a member of Bricklayers & Allied Craftworkers Local 1 New York. Marina Braccio of New Canaan, CT is presently attending New York University, NY and is continuing to pursue her degree in Real Estate. Ms. Braccio is the daughter of a member of the International Union of Operating Engineers Local 137. Paul Briggs of Shrub Oak, NY attends Manhattan College in Riverdale, NY and is continuing to pursue his degree in Civil Engineering. Mr. Briggs is the son of an associate of BCA-member company Sentrale Contracting Inc. of White Plains, NY. Abigail C. Campbell of Geneseo, NY attends Alfred State College of Technology, Alfred, NY. Ms. Campbell is pursuing her degree in Construction Management. She is the daughter of an associate of BCA-member company LeChase Construction based in Armonk, NY. Justin Campbell of Geneseo, NY attends Alfred State College of Technology, Alfred, NY. Mr. Campbell is pursuing his degree in Construction Management. He is the son of an associate of BCA-member company LeChase Construction based in Armonk, NY. Andrew J. Griffin of Yonkers, NY attends New York State University at Buffalo, and is continuing to pursue his degree in Architecture. Mr. Griffin is the son of an associate of BCA-member company Yonkers Contracting Company, Inc.
David Ross of Port Jervis, NY will be attending Western Connecticut State University, Danbury, CT to pursue his degree in Computer Science. Mr. Ross is the son of a member of Carpenters Union Local 279. Albert C. Rossi of Shrub Oak, NY is presently attending Westchester Community College, Valhalla, NY and will be transferring to Manhattan College in Riverdale, NY in 2018 to continue to pursue his career in Mechanical Engineering. Mr. Rossi is the son of a member of International Union of Operating Engineers Local 137. Joshua Wyant of Germantown, NY is presently attending Clarkson University in Potsdam, NY to pursue his degree in Civil Engineering/Construction Management. Mr. Wyant is the son of a member of Carpenters Union Local 279. The BCA/CAI program offers scholarships of $5,000 each to currently enrolled or college-bound students who qualify. Scholarships are available for family members of companies that are members of the BCA, as well as non-BCA-member independent contractors that contribute to qualifying industry advancement funds. Applications will also be accepted from eligible students who are related to the members of the following building construction union locals: Bricklayers Local 5, Carpenters Local 279, Laborers Local 235 and Operating Engineers Local 137. Applications will be available online next spring for grants for the 2019-2020 academic year on the organization’s website, www.caiwestchester.org. Since its inception, the BCA/CAI College Scholarship Program has awarded more than $225,000 to help more than three dozen students throughout the Hudson Valley region attend undergraduate institutions across the country. Its affiliated organization, the Construction Industry Council of Westchester & Hudson Valley, Inc., also offers college grants for the children of employees of companies that are members of the CIC. For additional information or an application please contact Laurel Brunelle at (914) 631-1033 or laurel@bcanys.org.